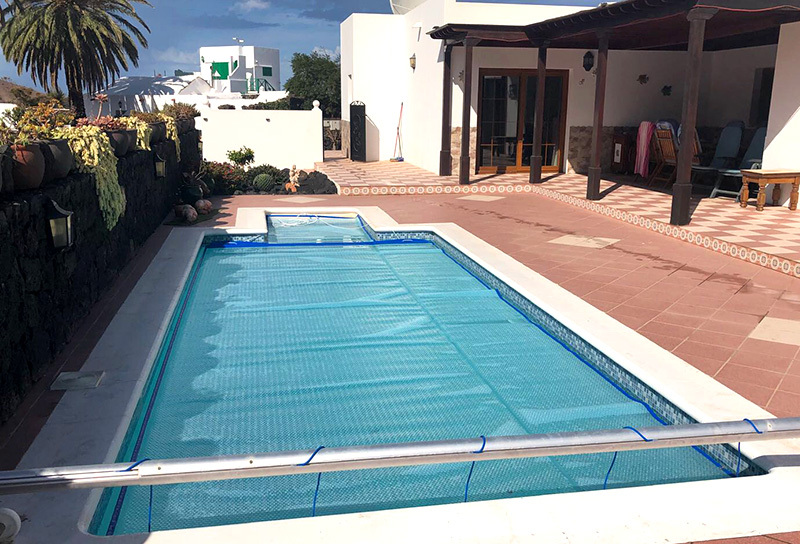 Solar Gain – Transparent swimming pool material transmits 80%of the suns energy in the visual and IR spectrum through the material to heat the water and basin of the swimming pool. 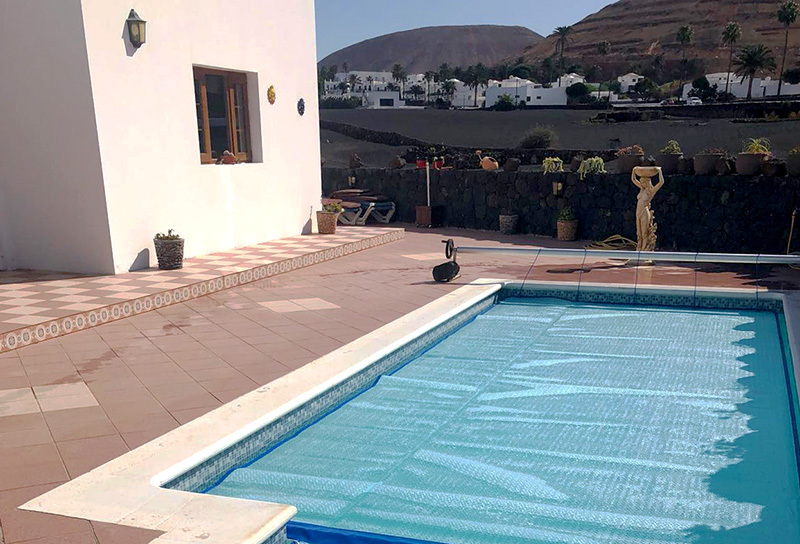 Tests have shown temperature increase 8˚C above the ambient pool temperature, reducing the heating demand by up to 70%. 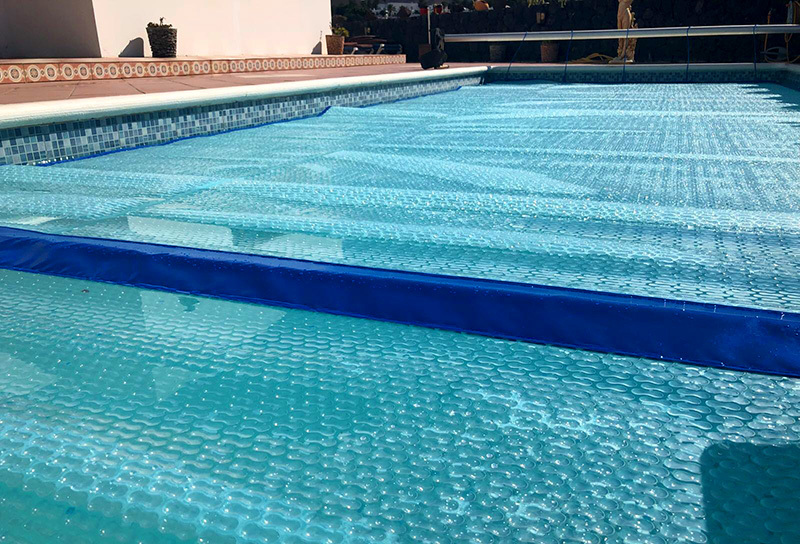 Evaporation Protection – By working as a physical barrier to evaporation the material both prevents the loss of a costly resource and prevents evaporative cooling of the water. 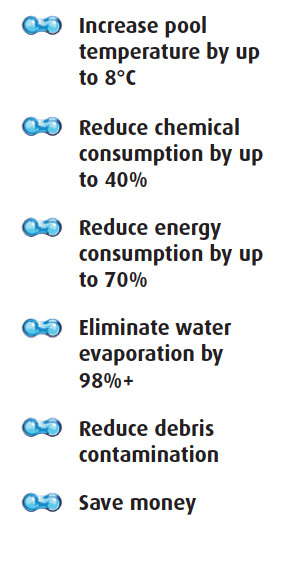 Evaporation is responsible for 70% of the heat loss from a pool due to the evaporation processes high energy requirement. Insulating Properties – The air cells in the Sun Cap plus material allow the cover to stay buoyant and provide insulation. Radiation of heat into the atmosphere is responsible for 20% of the heat lost from a pool.